The Eminent Speaker Series 2016 has now concluded. 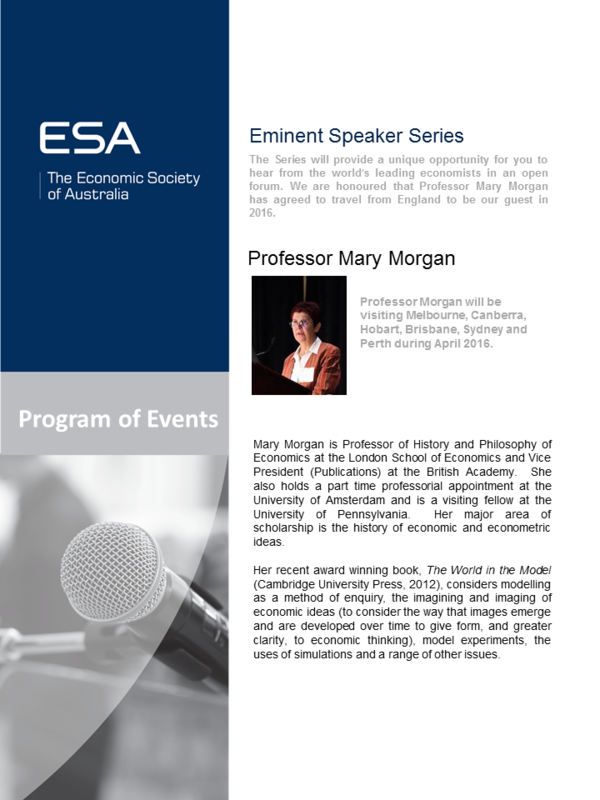 We would like to thank Professor Mary S.Morgan for visiting Australia and undertaking so many speaking events. for Professor Mary S. Morgan's Visit. A summary is also shown below. Public Lecture: What Makes a Good Economic Model?